Healthcare Scene is the premier network of healthcare IT resources. Whether you’re looking for great healthcare IT content, unique healthcare IT events, or healthcare IT career resources, we’ve got you covered. Check out all the practical resources the Healthcare Scene media network offers below. Covering the Healthcare IT industry since 2005, you can find the latest information, insights and practical innovations across Healthcare IT Today’s 11,000+ blog posts. If you want to learn the latest in healthcare AI and machine learning, Communication and Patient Experience, Revenue Cycle Management, and much more, Healthcare IT Today has you covered. The EXPO.health community is focused on bringing together the top healthcare IT professionals to share practical innovations in healthcare IT. The conference focuses on 5 main content areas: Security and Privacy, Analytics, Communication and Patient Engagement, IT Dev Ops, and Operational Alignment and Support. Join us at this unique event to collaborate with other healthcare IT professionals and share ideas, innovations, and insights into how to better use technology in your healthcare organization. 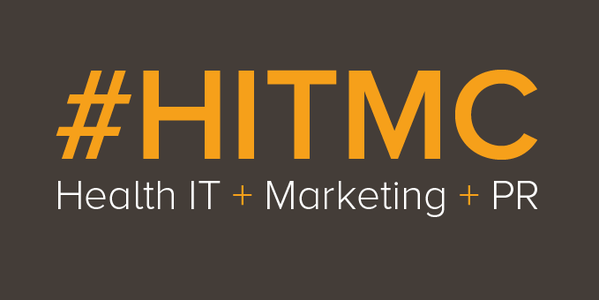 The HITMC (Healthcare and IT Marketing Community) is a unique group of healthcare marketing and PR professionals. Started in 2013, the Healthcare and IT Marketing and PR community brings together all those working in healthcare B2B and healthcare B2C marketing. At our annual conference, at community events around the country, and on the HITMC.com blog, the healthcare marketing community comes together to share best practices, case studies, marketing resources, and to support each other’s marketing efforts. Since 2009, Healthcare IT Central has been focused on helping healthcare IT job seekers find the best healthcare IT jobs and healthcare IT employers find the highest qualified candidates. As a free resource for healthcare IT professionals and free basic job postings for healthcare organizations, there is no easier, comprehensive solution for healthcare IT professionals and recruiters. If you have any questions, please be sure to reach out to us on our Contact Us page. We’ve missed writing about a few of these recognitions, but we’re extremely grateful to be recognized as one of the 50 Best Medical Blogs of 2018. 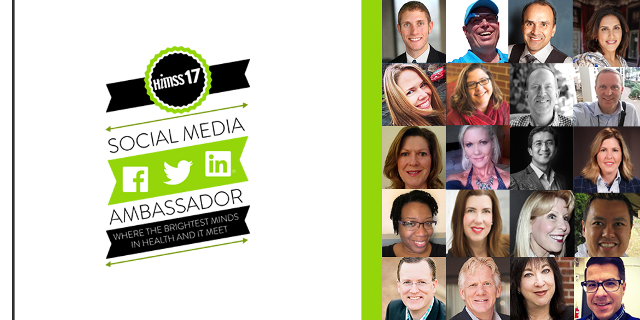 It’s quite the honor to be on a list with so many great bloggers. We appreciate Cables and Sensors for the recognition. We definitely work hard to improve healthcare through the use of technology. 13 years and nearly 13,000 blog posts later, we think we’ve made a big difference in people’s lives. Now as we continue to carve a path for Healthcare Scene, we want to highlight many of the practical healthcare IT innovations that are available today. So many solutions are out there, but the knowledge of those solutions is not evenly distributed. Hopefully, on the Healthcare Scene blogs and at the EXPO.health conference we can help to have those practical innovations better diffuse throughout all of healthcare. Healthcare Scene is excited to announce the 5th Annual Healthcare IT Marketing and PR Conference (HITMC). HITMC 2018 is happening April 4-6, 2018 in New Orleans, LA. Once again, we’re working hard to take this special marketing and PR community to a whole new level of engagement, learning, and fun. Registration for the Health IT Marketing and PR Conference will be open until 3/7/18 with the super early bird rate ending on 11/1/17. The conference Call for Speakers will be open until 10/31/17. So, act now and join the HITMC community in New Orleans! With a full program of ~50 sessions and a wide spectrum of expert speakers, the content at the 2017 Healthcare IT Marketing and PR Conference will appeal to any marketing and PR professional working in healthcare B2B marketing. Plus, in 2018 we are adding a dedicated B2C (Patient Marketing) track that will be of interest to hospital marketing professionals. Along with all of the education sessions, HITMC 2018 will be an amazing opportunity for healthcare marketers and healthcare PR professionals to network with their peers. Some of the best learnings at last year’s conference came during the unconference sessions. So, in 2018, we’re bringing those back in an even bigger way. Plus, the conference is in New Orleans, so we’ll be enjoying plenty of fun as a community at our various networking events. Another great part of the 2018 Healthcare IT Marketing and PR conference is the diversity of sponsors we feature. It’s always gratifying when someone in the HITMC community is able to find a conference sponsor that can solve a problem that’s vexing them. Plus, this year, we’ll be adding an exhibit hall to the event with dedicated exhibit hall time. However, as in previous years, we expect our sponsors to fully participate in the rest of the conference and community events as well. A few sponsorship slots are still available if you act quickly. If you’re not already registered for the 2018 Healthcare IT Marketing Conference, Register Now before it’s too late. We look forward to seeing many of you in New Orleans at HITMC 2018! 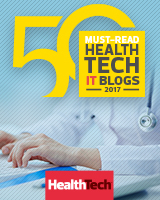 Healthcare Scene is one again excited to be listed among the 50 Must Read Health IT Blog. It’s exciting to be listed in the “Tech Gurus” category and alongside so many health IT blogger peers that we respect and enjoy. I think this is the fifth year in a row that Healthcare Scene has been included on the list. We’re also happy to share that Healthcare Scene’s very own Colin Hung was included on the list as well for his #HCLDR blog. Social media has transformed the ability of those with expertise to share their views on recent events with a larger audience. Nowhere is this more true than on Twitter, which attracts millions of visits per day. Healthcare technology and IT experts are among those who frequently offer their slant on the news of the day. They ranked the list by number of followers and Healthcare Scene’s very own @techguy (John Lynn) was listed at #25. 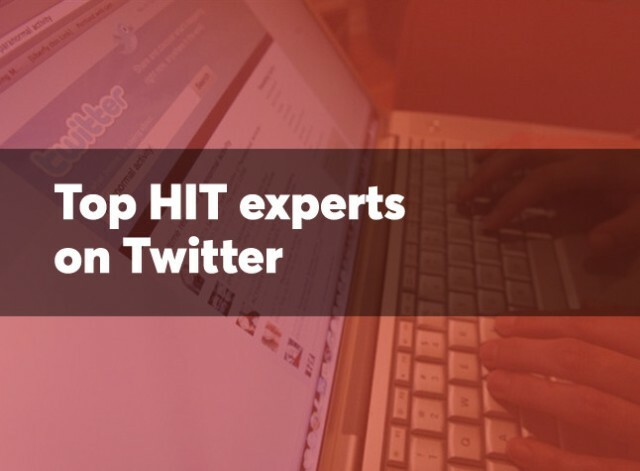 Of course, if they’d included @ehrandhit, @HealthcareScene, @HealthcareITJob, @HospitalEHR, and @HITMarketingPR then we’d have been #3 on the list with over 67k followers. A big thank you to Health Data Management for the recognition. We’re proud to be listed in such great company. We’ll continue to work hard in our effort to continually provide value to healthcare IT executives.